A real-time location system (RTLS) is not much different than a GPS tracking system in theory, but they rely on GPS systems to be more accurate. RTLS devices are products that are embedded with a chip that emits a signal to a reader. The reader can then determine exactly where the product is located. Products are considered anything with this chip inside, so products can be items in manufacturing plants, military equipments, or healthcare devices. The exact type of technology used is determinate upon the provider of the product. It can be WI-FI, Bluetooth, GPS or RFID technologies, or any combination of those technologies. Bottom line is that it is used in a wireless setting that is connected to the network, and it is part of the Internet of Things (IoT). As IoT expands, so does the data that comes pouring into the hospital’s networks. This data needs to be analyzed and processed, and some items require immediate response times. A common issue in hospitals right now relates to alarms. When an alarm goes off staff need to know if it is an emergency. Since most devices have a manufacturer’s default setting pertaining to a healthy human, there needs to be a way to determine if the alarm is an actual safety issue for the patient. This is going through a trial and error phase between hospitals and manufacturers of products, but the time will come soon where devices will have the ability to determine priorities across alarm infrastructures. As more RTLS and IoT devices are used, there is an increasing threat of hackers. Since so many of the devices use wireless technology, there can be concerns about the security of wireless networks. Managed service providers can help with creating multiple authentication protocols to help stop hackers from accessing the data. If the hackers hop on to the data during its travel from one device to another, then there may be a problem. Even if the data is grabbed during transport, an encryption methodology can help ensure that hackers will not understand the information they stole. Depending on the network setup, the managed service provider may be able to provide the solution needed. 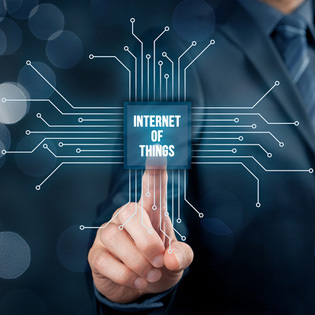 Although IoT devices are commonly set up to work on the internet, there are workarounds. Devices can be wired to a private network and essentially have the same effect. Having the IoT devices hooked up privately allows the wireless transmissions to stay within the walls of the hospital, and limits access from outside sources. It also helps provide better encryption technologies. This can be a strong point in regards to medical surgical kits and patient data transmissions that use RFID tags to keep on these products and information. There are still several hurdles to get over when it comes to the IoT and RTLS services, but they are coming. The IoT is growing by the millions per year, and with it, new policies are popping up to handle the extra large amounts of data, the concerns about security, and the safety of the patient. Get a free assessment now and learn how TOSS C3 can help you with IoT solutions.